Pharmacy Services Department of SMBB TC working with the mission to provide best possible high quality hospital pharmacy services in a patient-safe & compliant atmosphere and a center point for sharing knowledge, effective communication and educational growth of all healthcare providers. We have qualified and skilled pharmacist’s team. In continuation with patient safety adherence policy of the center, new feather in the cap is establishment of province’s first department of sterile IV admixture in any public sector hospital to prevent all adverse events resulting from inappropriate medication preparation, administration or use that can lead to patient harm. Also it provides cost effective, safer, standardized and less laborious clinical services. 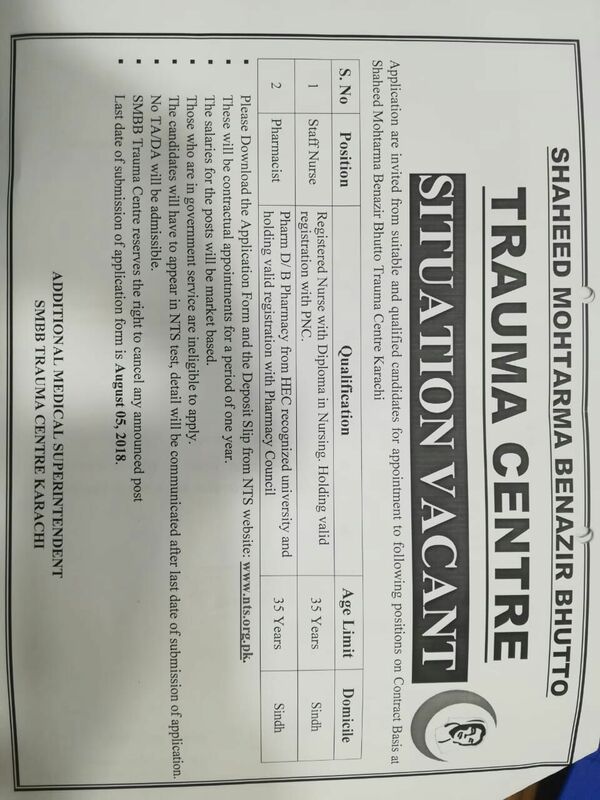 The Department of Oral & Maxillofacial Surgery at SMBB Trauma Centre also aims to conduct workshops and provide opportunity for the Young residents and Junior Consultants to brush up their Clinical skills along with dispensing, inventory management and sterile compounding services, Pharmacists are providing optimized services at the bed-side in all wards. This will lay down a strong foundation for provision of exemplary clinical pharmacy services in public sector hospitals. At present six satellite pharmacies are working on different floors of the centre.